ATTENTION!! ONLY TWO RINGS REMAIN! 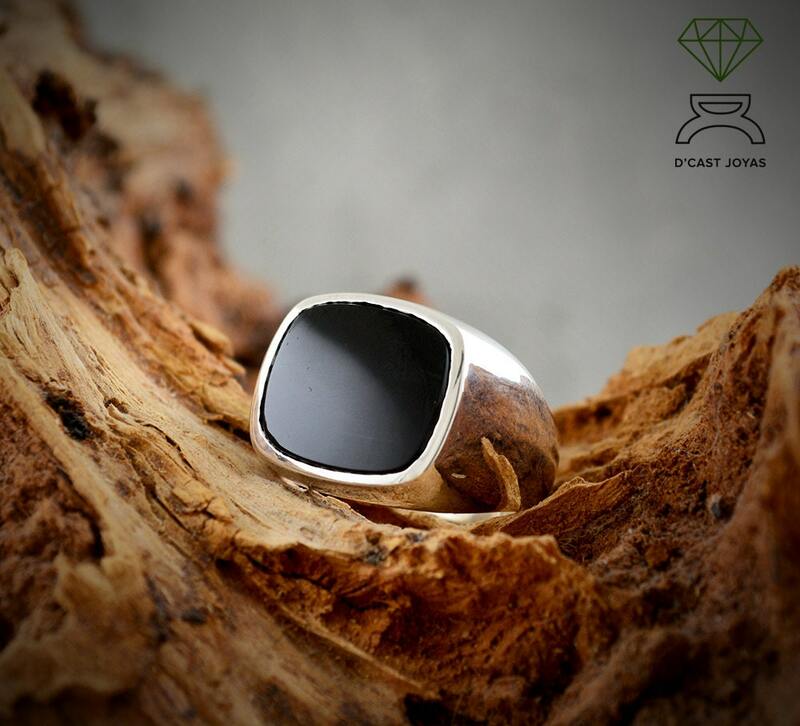 A great opportunity to make an exclusive gift to someone very dear or for yourself to wear a unique ring! 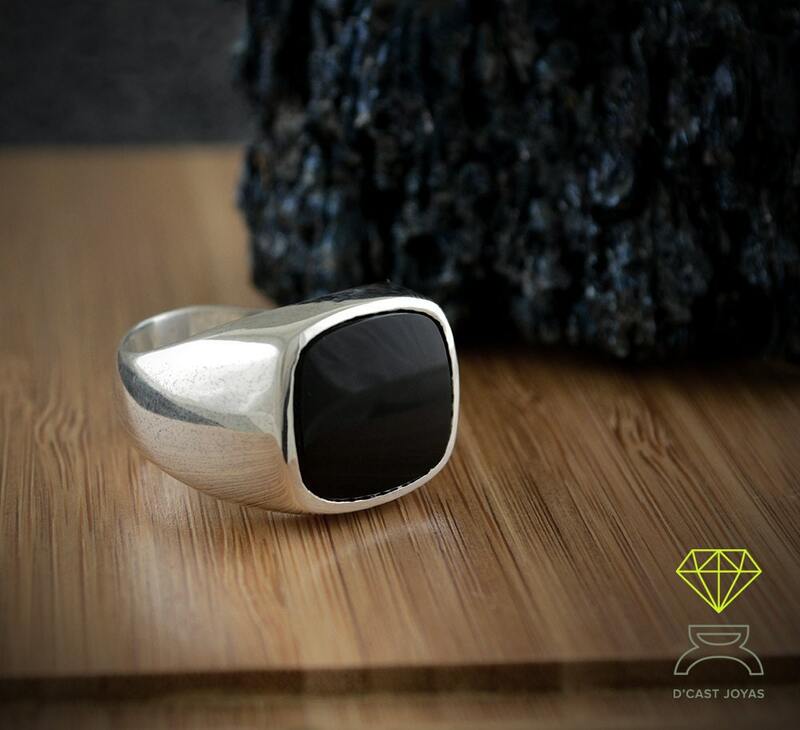 ** Ring in solid sterling silver with square Onyx stone cabochon. The setting of the stone is manual. 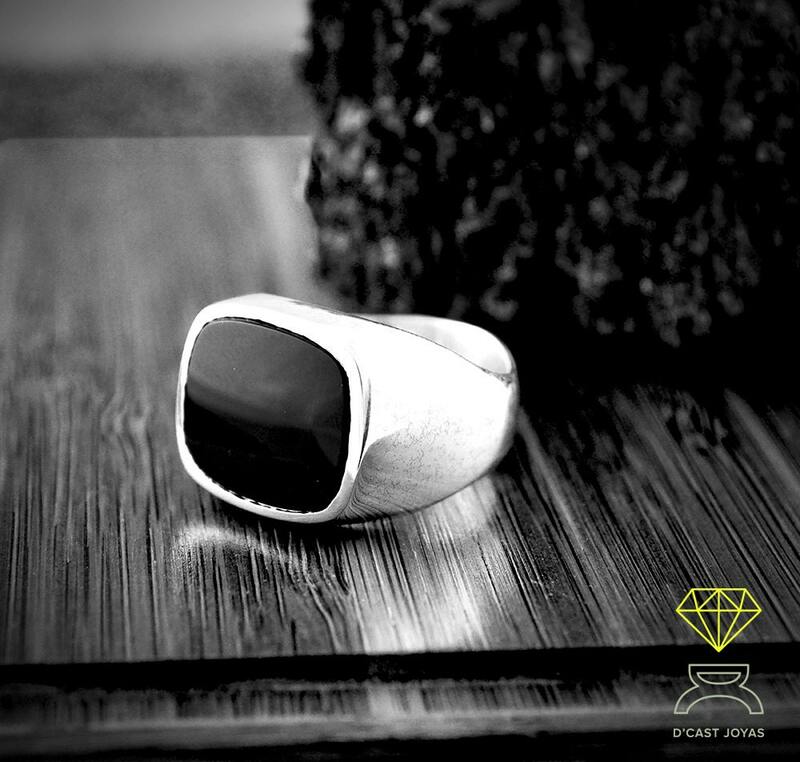 This ring model is a limited series (there are only four rings) since the size of the onyx stone is old and does not exist anymore. 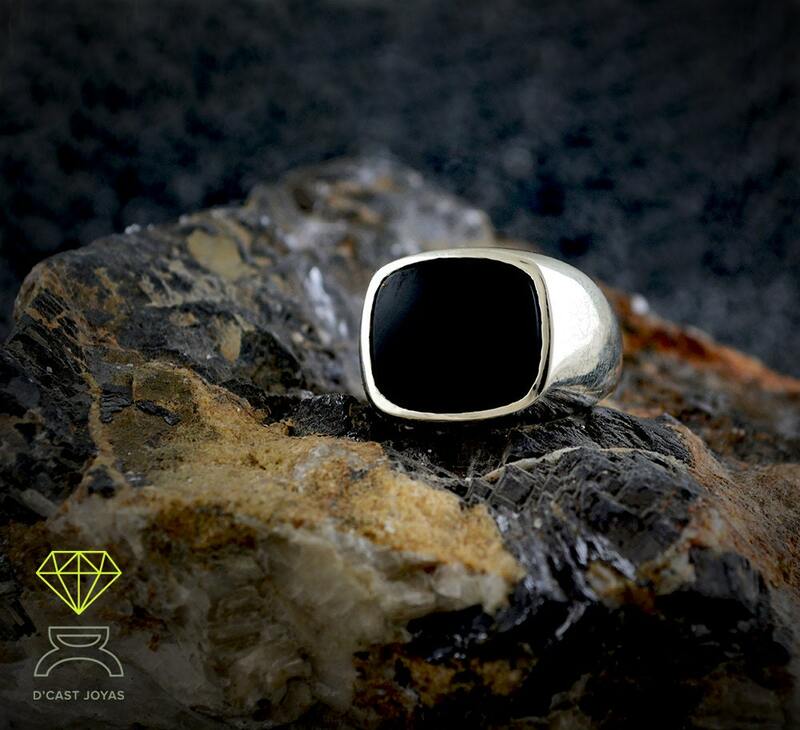 This exclusive ring is ideal for lovers of unique pieces. ** The price that is established is for US size 8. 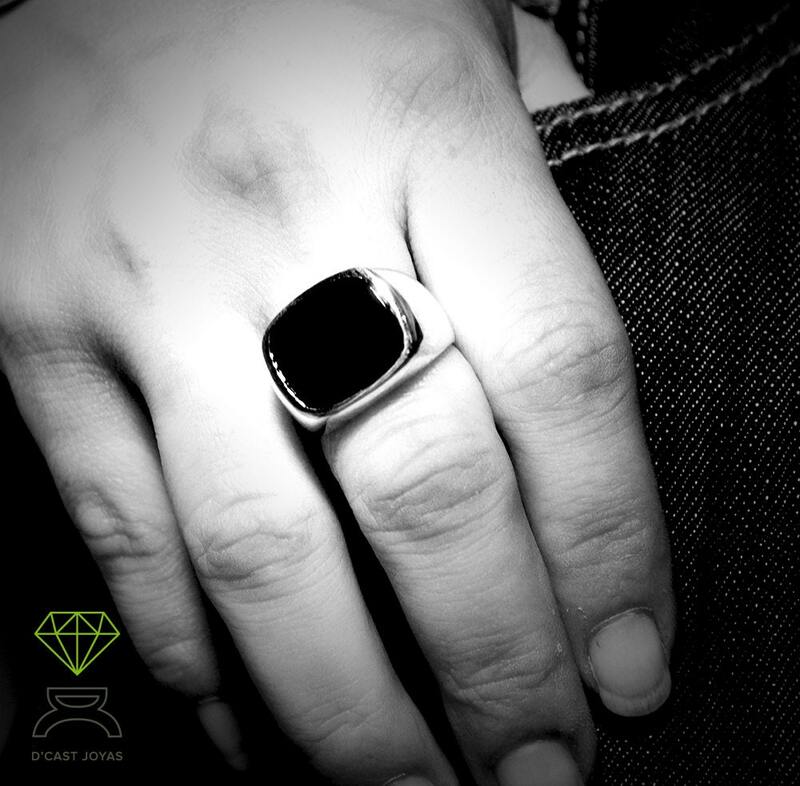 If you want a bigger size, write us and we will give you a quote.